Recently, wall hung toilets have become increasingly popular—so it is no surprise the you have made it here to our list of wall hung toilet reviews. Wall hung toilets are designed to be more compact and take up far less space, which makes them perfect for smaller bathrooms and for those of you who want to make the most of your space. Using the best wall hung toilet for your bathroom will make cleaning much simpler and give your bathroom a more open and spacious look. Their sleek bowl designs will make them a great addition to any bathroom and won’t take away from the décor scheme you are going for in your space. Like all other types of toilets, however, wall hung toilets also come in lots of different styles, offer a variety of features, and vary considerably in price. If you are looking into a wall hung toilet, you will find that they are typically pricier than the traditional floor mounted toilets—but they are totally worth it if you want a modern addition to your home. Its universal height makes it a great option for most people and its in-wall tank system can be used with other TOTO toilets. This is a perfect option for minimalistic people who also want something unique and different. Its SensoWash seat makes it easy to clean—which will simplify your life in the long run. This Kohler wall hung toilet is no different and is an excellent reflection of the high quality designs the brand is known for. This elongated toilet bowl is made of vitreous chine, which makes it easy to clean and gives it a sleek and modern look as well. It is important to note that this seat does not come with the toilet seat, so you will have to purchase it separately. Toto is a really well-known brand that many users have come to trust—and this Toto wall hung toilet definitely does the brand justice. Not only is this toilet compact and sleek in design, but its ceramic glaze also keeps it cleaner longer by preventing any dirt, mold, or debris from sticking to it easily—which makes it really easy to keep clean and save you a lot of time over time. Its universal height makes it a great option for most people and its in-wall tank system can be used with other TOTO toilets. This toilet also features a Dual-flush system which helps you choose your flush rate (1.6 gallons per flush or 0.9 gallons per flush) which grants you the ability to save water and help you do your part to save the environment as well. One of the best parts about this toilet is its price—it is actually pretty affordable compared to other wall hung toilets. However, it is important to note that the required toilet seat options and the required copper pipe for the system are both sold separately, which will add on to the cost. Overall, this Toto toilet will look great in any space and comes at a reasonable cost when compared to other wall-hung toilets—even with the additional parts that need to be purchased separately. If you want a modern, sleek wall hung toilet then this is it. This is a perfect option for minimalistic people who also want something unique and different. This toilet is designed for the modern bathroom and its soft close seat won’t make a racket in the middle of the night when everyone is asleep. One of the best parts is that it comes at a great price—so it fits almost all budgets—and on top of that the company also offers a limited lifetime warranty against certain incidentals that may occur. Those of you who like to use environmentally-friendly products will love to hear that this toilet is WaterSense certified and also meets EPA flushing guidelines. Its dual flush system allows you to pick between a full (1.28 gallons per flush) or partial (0.8 gallons per flush) partial flush—this allows you to choose the flush intensity you need, help you save water, and even allow you to reduce your water bill over time. It is important to note, however, that the toilet carrier tank will need to be purchased separately—but the cost is totally worth it given that it completely hidden from view—making it sleek and seamless. However, if you are looking for an ADA compliant toilet, this one is a great one to consider. Its height is adjustable—and on top of that it is also super easy to clean thanks to its quick release feature. Overall, this is a great wall hung toilet to consider. It is compact, easy to clean, and will look great in any bathroom. The Duravit brand is known for making great looking products and for putting style at the top of their list along with features and all the other important factors that go into making a great toilet. So, when looking for one of the best in wall toilets, it is no surprise that one of theirs made our list. Not only is this toilet compact in size and a perfect option for smaller spaces, but it is also designed with the modern bathroom in mind. It is sleek, minimalistic and its style will look great in any bathroom. Its SensoWash seat makes it easy to clean—which will simplify your life in the long run. This is probably one of the easiest to clean wall hung toilets out there—so if you are tired of wasting time cleaning your toilet, then this is a great one to consider. Overall, this wall-mounted toilet will look great in any space and comes from a trusted brand. It’s white finishing looks great and is easy to install—so you don’t have to waste time trying to figure it all out. While this is definitely one of the pricier selections on our list, it is definitely one of the best out there. Not only is Kohler a well-known brand all across the board, but their products are excellent made and built to last. This Kohler wall hung toilet is no different and is an excellent reflection of the high quality designs the brand is known for. This one-piece toilet has an elongated toilet bowl that is super comfortable and takes up minimal space. It comes with everything you need and is easy to install, and all of the mounting hardware is completely hidden, which makes it super easy to clean and gives it a sleek design. If you like the veil toilet design and don’t mind spending a little more then definitely take a close look at this one. While it is a little pricier up front, it also comes with everything you need to get the toilet installed and ready to use. The American Standard wall mount toilet with tank option is another higher priced wall hung toilet that comes with almost everything you need to install and get it up and running. This elongated toilet bowl is made of vitreous chine, which makes it easy to clean and gives it a sleek and modern look as well. Its most unique feature is its pressure assisted siphon jet which makes it a great wall hung toilet for any of you in the market for something compatible with commercial bathrooms. The pressure jet makes it powerful and able to handle higher demands. The toilet also features a flushometer tank with a chrome metal trip lever. It is important to note here that the toilet does not come with the wall carrier, which is necessary for installation. That means that you will need to spend more to get all of the parts—but, if you need a commercial grade toilet then you will definitely find that this toilet is worth every penny. Overall this toilet features a 1.6 gallon per flush water consumption rate, which makes it an eco-friendly commercial toilet. While it is pricey and requires separate purchase to get it all installed, it is also durable and made by a great brand that prioritizes quality overall. Here we have another Toto toilet on our list. This Toto wall hung toilet review will go over this model’s features and everything it has to offer. Keep in mind while reading that although this toilet is much more affordable, there are certain parts that you will have to purchase separately as well. This toilet features a universal height, which makes it compatible with most people. While it doesn’t come with the wall tank system, you can use it with any Toto wall tank, and it is even compatible with other brands—so you definitely have lots of cost-effective options to choose from. It is important to note that this seat does not come with the toilet seat, so you will have to purchase it separately. The good part about this is that you can get more of a choice in the type of toilet seat you get. One of the best features about this toilet is that it is CalGreen compliant—which means it is a great eco-friendly option. Its dual flush system offers a 1.6 gallon per flush when using its highest setting and a 0.9 gallons per flush when using its partial setting. Overall this is a high-quality toilet that is incredibly durable and built to last. Not only does it look great, but its compact size makes a great option for any bathroom. If you want something that looks great, from a brand you can trust, then take a closer look at this toilet. Here we have another Kohler veil toilet—and like the other one on our list, this one is also really sleek and compact in size. It is perfect for minimalistic lovers who also want a touch of modern flair. Its one-piece design is perfect for any small space and makes the most out of your bathroom. While it doesn’t come with the toilet seat or carrier system, you can get these from Kohler as well if you want the perfect vail toilet. The flush actuator is also sold separately, but once everything is purchased you will have everything you need to get your toilet installed and up and running. This toilet is really easy to clean, and its one-piece design makes everything easier to access. It is so compact that it only takes up a foot of bathroom space—so it will literally fit in any space. Its elongated toilet bowl is super comfortable and provides plenty of space. Overall, this is a great all-around toilet that is versatile enough for almost any user. For a wall hung toilet, the Glenwell Pressure offers the most traditional design. It looks like your standard toilet, just without the floor mounting. It comes in white and is made of Vitreous China—which makes it easy to clean. This material also prevents any mold, debris, or dirt from getting stuck to it over time. Its compact size makes a great choice for most bathrooms and, while it is definitely one of the more expensive options on our list, it is totally worth every penny. With the purchase of this toilet you will have everything that you need to install and use it. It comes with the tank, toilet seat, and everything necessary for installation. Overall, this is one of the most standard toilets on this list. It offers all of the benefits of having a wall hung toilets while also providing you with all of the features that a traditional toilet has to offer. The Duravit Stark 3 toilet is one of the best wall hung toilet selections on our list for many reasons. First and foremost, its compact and sleek design make it perfect for even the smaller bathrooms. Whether you are a minimalist or someone who want something modern and stylish, this toilet definitely fits the bill as well. Its white finishing will go with all of your fixtures and it is compatible with the Dura Fix 2 mounting hardware—so if you are just upgrading your current model you won’t have to worry about getting any new hardware. While this toilet doesn’t come with the carrying tank, it does come with the seat and lid. This way you don’t have to worry about purchasing those parts separately. Overall, this toilet comes at a great price as well as with almost everything you need. Its installation is easy and to the point and the hardware will be concealed once you have everything installed. Not only is the toilet sleek and minimalistic, but it is also a perfect addition to any bathroom or home. American Standard is another highly respected brand that many users have come to love and trust. Not only has it been around for quite some time, but they have earned a reputation of producing high-quality, durable products that users can rely on. The Glenwall VorMax toilet is no exception and the features this toilet provides speak for themselves. This toilet is by far one of the easiest to clean—on top of its easily accessible design, this toilet also features its extremely powerful VorMax scrubbing action. This feature works by circulating water around the bowl every time it flushes—allowing the toilet to hit every part of the bowl from top to bottom. While the purchase of this toilet only comes with the bowl—and you will have to buy he lid and seat separately—everything else you need for installation comes along with your purchase. While the price may add up as you get everything you needs, it is worth the investment if you truly want a toilet that will simplify your life. Overall, this is one of the easiest to clean toilets thanks to its CleanCurve rim—which gets rid of any hard to reach place that would typically be difficult to reach and clean. Once you have everything you need, this toilet is super easy to install and get up and running—and if you already have a Glenwall footprint it will be even simpler. In order to help you choose the perfect wall hung toilet, we have taken the time to put together a buying guide that is designed to answer some of the most common questions out there. Not only will this help you narrow down your final decision, but our buying guide will address those questions and concerns and help you figure out which wall mounted toilet is the best fit for you. Looking through each wall hung toilet review, you may have noticed that these types of toilets typically cost more than your standard toilet—although they are much more affordable than they used to be just a few short years ago. If you think about it, this makes perfect sense. After all, they are much easier to clean, much more compact inside, and much more versatile. While these are all great features, you often have to purchase other parts separately to ensure you have the actuator plate, frame, and wall tank that most wall hung toilets also require. However, many of these toilets offer additional cleaning features that make the process much easier. Many are also eco-friendly and provide dual flush features that allow you to choose the gallon per flush option that you need each time you use the restroom. Wall hung toilets typically offer compact and sleek designs that will look great in any bathroom and with any décor choices you decide to go with. While most wall hung toilets are compact in size and should fit in almost any space, it is incredibly important to take factor size as one of the most important considerations. Many wall hung toilets feature an elongated bowl, which tends to be really comfortable and can measure up to six more inches when compared to round bowls. While mounted toilets can fit any toilet space, you will have to take measurements to ensure that an elongated bowl style will fit. When considering size, it is also important to get the right height. If you need something that meets ADA requirements, you will have plenty of options—just make sure to choose a toilet that is ADA certified. Otherwise, most of these toilets either have adjustable heights or meet the universal height requirement that has been mandated. You will also find that many mounted toilets require that you but the toilet seat separately. If this is the case for the toilet you have purchased, make sure to get one that is compatible with your bowl. Typically, you will have lots of options to choose from—with the soundproof toilet seats being one of the more popular nowadays. Flushing (obviously) is an important factor to consider when looking for the right toilet for your home or business. Not only does it account for how much water your toilet uses but it also controls how well your toilet bowl is cleaned after each flush as well whether or not the toilet is best for home or commercial use. A few decades ago, most toilets used up to five gallons per flush, can you imagine? But, in 1995 limits were set in the U.S. to limit toilet water usage to a standard 1.6 gallons per flush. At first, this led to a standard double flushing system in order for companies to “meet” requirements. Luckily, nowadays we are much more aware as well as willing to go for more eco-friendly options. Nowadays, toilets have much larger trap ways and flush valves—and many selections come with dual flushing systems so you can use a partial or full flush in order to control how many gallons per flush you use with each flush. These options are no different for wall hung toilets—and after reading each of our reviews you will find that they many offer more eco-friendly options—and the dual flush feature does not need to be sacrificed when choosing a toilet that is mounted to the wall. Gravity feed flushing systems are another really common flush technology found in toilets nowadays. These toilets use a flush valve, instead of your traditional lever—and they actually use gravity to get the water into the toilet bowl. These require a larger flush valve which means they are more powerful—and the more powerful the flush the cleaner each flush will keep your toilet. Lastly, wall hung toilets also employ the use of pressure assisted flushing. This one is really common nowadays because it delivers a powerful flush with less water. These toilets have a pressurized tank, which forces water into your toilet bowl at a higher pressure—while this effectively cleans your bowl each time, it also causes each flush to be much nosier when compared to the other flush system types. Pressurized flushing systems are great for larger families, but they toilets that employ this flush system are also typically much more expensive. While the standard toilet has to meet the requirement of 1.6 gallons per flush, nowadays you can find some that our designed to conserve even more water—and they don’t have to be dual flush toilets. Many manufacturers prioritize water conservation, so it is actually not to hard to find toilets with the WaterSense certification—which requires them to only use 1.28 gallons per flush or less. Typically, many pressurized toilets will be more efficient—but other types of toilets can follow these guidelines as well. How to install a wall hung toilet is one of the most common concerns when trying to find the right model. Before jumping into this topic, we want to make sure to tell you that not all wall hung toilets are made the same. Before installing your toilet make sure to refer to the brand model of the toilet you purchased and follow those specific instructions before beginning the process or following our guide below. It is important to mention, however, that our guide is a general one and can fit the bill for the installation process of many wall hung toilets. If you are remodeling your entire bathroom then you will have the easiest time installing your wall hung toilet—this is because you will have to redirect your plumbing to make it fit the needs of a mounted toilet. First and foremost, you will have to make sure your wall mounted toilet will fit your space properly—it is important to take precise measurements before making your purchase to ensure that you get the one that provides the perfect fit. As you may have noticed in each wall hung toilet review on our list, not every model comes with the wall mounted toilet tanks—in fact it often needs to be purchased separately if it is required. Before beginning the process make sure you have everything that you need—the toilet seat, carrier tank, and all of the hardware that you will need for the installation process. Before beginning make sure to turn off you water supply completely—the last thing you will want is to have to deal with flooding or water damage due to forgetting this crucial step. Once that is done, lay out all of the tools you need, check to make sure you have absolutely everything you need before beginning the process. If you haven’t already removed your previous unit do this now and clear it out so you don’t have any mix ups with hardware. Make sure you have access to your water supply line and set up the supports into studs. Double check that everything is in the right place and that all of the pipes are in the correct place. Once that is done you can attach the bowl with the hardware provide it and set up the waste tube and ensure that it is properly connected. Ensure that you do this properly and securely before moving forward, refer to your owner’s manual as needed. When the wall hung toilet is securely in place, you can then proceed to install your toilet tank—we won’t go into details here because installation depend on which wall hung toilet you decide to get. When you have completed that step, you can then connect your tank to your bowl—make sure to do so securely before taking the next step. Double check that everything is securely installed and go ahead and get the water supply line connected. Tighten it all up and make sure to double check for leaks once you turn the water supply line back on. Make sure to give the toilet of few flushes before calling it and, voila, you are all done installing your very own wall hung toilet! Like your standard toilet, wall hung toilets also require regular maintenance to ensure they last you for as long as possible. Not only that, but issues can always arise with any toilet, so it is important to know how to access certain parts and what type of regular maintenance your toilet may need. Make sure to keep access to your toilet’s instructional manual so you can refer to it as necessary—and also make sure to keep track of any warranties or customer service options that your toilet’s manufacturer has in place. The most important part when it comes to maintenance, is to make sure that you can readily access all of the working parts in the in-wall tank of your wall hung toilet. If you install your toilet according to what your manufacturer suggests, you will find that the designers have taken everything into consideration to ensure that you can easily access each working part by simply lifting the actuator plate. Now that you have taken a look at all of our wall hung toilet reviews, we hope that we have helped you narrow down the best wall hung toilet for your needs. Wall hung toilets are a great option for those of you facing space issues or simply if you are tired of killing yourself every single time you go to clean your toilet. Keep in mind that wall hung toilets are typically a little pricier, and as you can see many of them require that you buy additional separate parts in order to install them—which can make the overall cost add up over time. Despite the price, however, wall hung toilets are a great addition to any home. If you love eco-friendly products, you will be happy to hear that this design offers plenty of water saving models that will help you reduce your carbon footprint as well as help you reduce your water bill over time. Regardless of which of the selections on our list is your favorite wall hung toilet, make sure to put your specific needs as your driving factors for making your final decision. 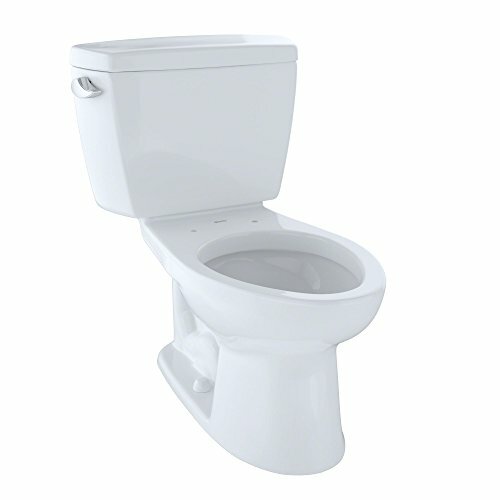 At the end of the day, make sure to take the time to consider your needs and everything you expect from a wall hung toilet—like everything in life, there is not toilet that is designed to meet the needs of every user out there and (as you have already noticed) even wall hung toilets come in lots options to choose from.